You all might know Al Kahn aka @Idolxfactor1 as he does a lot of videos for fans during the on and off season of Dancing With The Stars. This past Friday night he saw the Dancing With The Stars Live “Dance All Night” show in Windsor, Ontario. He told us “it did not disappoint” from the amazing sets, the awesome choreographed routines, and the fun audience participation throughout the entire 2 plus hours. He also thought it had clever scripting for how they got Alek Skarlatos involved. Al has written an awesome review of the show at his site. Be sure to read it at IdolXfactor.com. He’s posted a huge gallery of photos and some video too. A must read and see when you get time! If you haven’t seen the show yet, be sure to get tickets here. Photo below courtesy of @Idolxfactor1. THANKS Al!!! Dancing With The Stars Peta Murgatroyd and fiance Maks Chmerkovskiy held a dance workout class with JCPenney Xersion active wear in New York City. Below is some footage from ABC and some photos. You can see more photos at Getty Images. Ok, so now. I’m wish Maks kept his hair long. 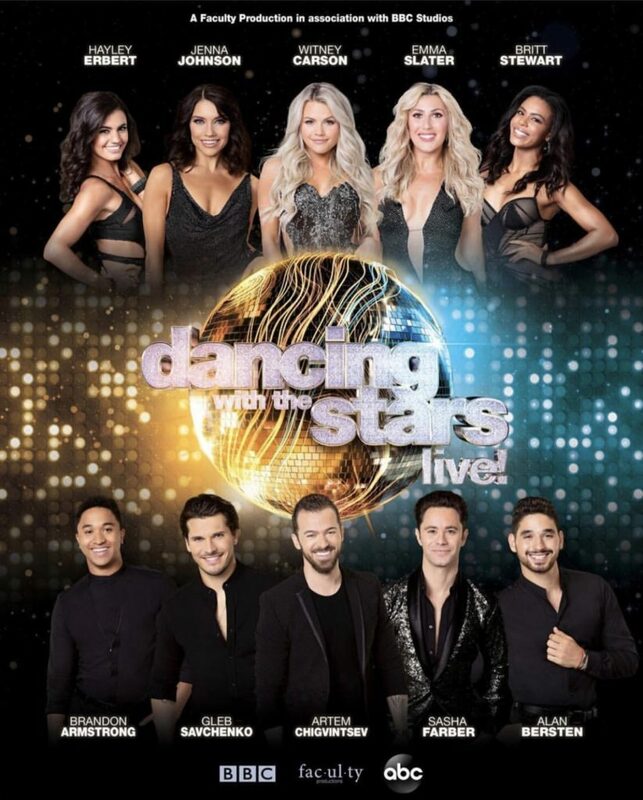 Alek Skarlatos and Lindsay Arnold took a time out from the Dancing With the Stars: Live! tour to stop by the EW studios to play a game of “Who’s Most Likely To?” This is so cute and check out the mention on Emma Slater!